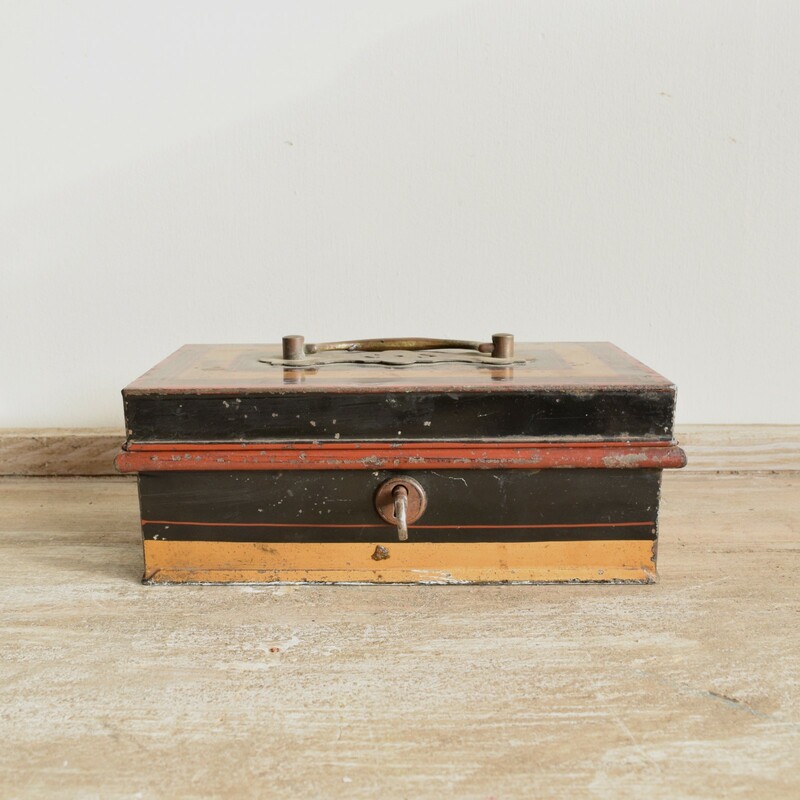 This decorative metal box has its original working lock and key. It has been hand painted in mustard gold, black and rusty red and has a beautifully ornate brass handle. It is a charming vintage piece.